This line is crafted out of a 45 layer hand hammered layered Damascus steel with a Swedish steel cutting core. 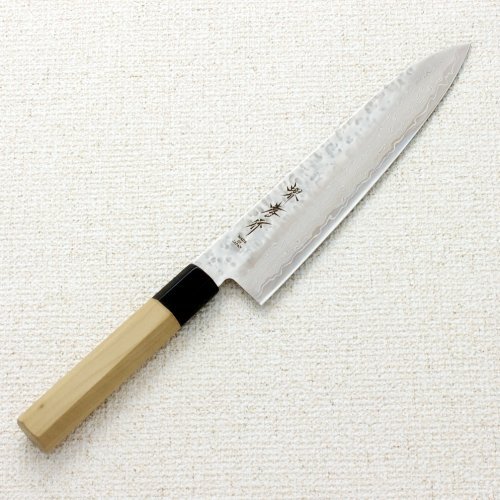 These knives have a seriously sharp edge, excellent edge retention and a light center balanced feel. Octagonal magnolia handles, which have been used for centuries in Japan, are comfortable in the hand and easy to grip even when wet. Each knife is hand sharpened to ensure maximum sharpness out of the box.